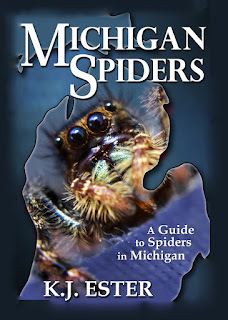 Due to the fact that the Recluse cannot live in temperatures of less than 40 degrees, the spider is NOT native to Michigan. In my searches, I have only uncovered four or five accounts where the Brown Recluse has been positively identified here in Michigan. The DNR lists one case and the Entomology Department of MSU has an article listing three cases. Assuming the DNR case is not one of those other three, that would only be four time ever in Michigan. The fifth happened in June of 2013, when Rod Crawford, the Curator for Arachnids at the Burke Museum, positively identified two specimens sent to him by a woman in Livonia Michigan. The Recluse seems to be the most feared spider in Michigan, even though they are not even indigenous to Michigan. Often when pictures are sent in to me to identify, people do so because they are afraid the spider they found might be a Brown Recluse. If you find a spider and fear it may be a Recluse, look closely at the eye pattern. If the eyes are not in three groups, with two eyes in each group, it is not a recluse. 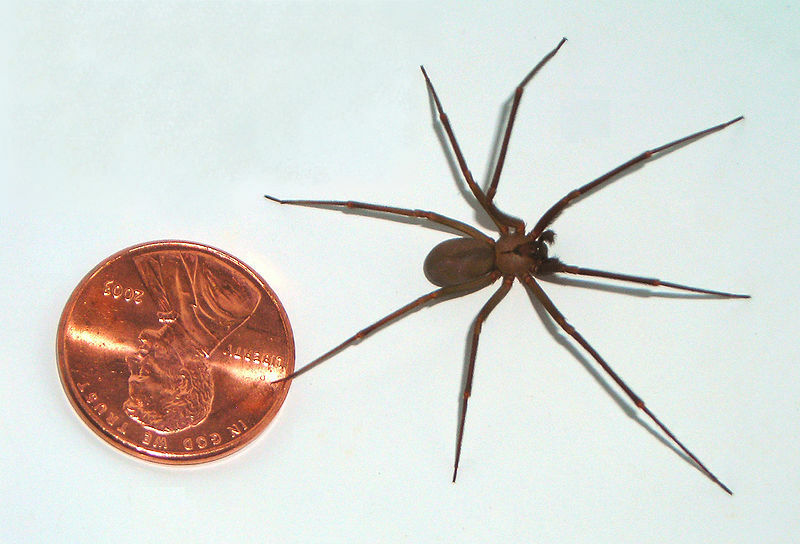 If it has banded legs or stripes or patterned markings on it abdomen, it is not the recluse. If you look at these things and still believe it may be a recluse, please send me as clear a photo as you can. My email address is on the front page near the top. Please, do not discard any spider you believe is to be a Brown Recluse. Even if I agree, the only way it can be positively identified is to send it to a real expert to be dissected. Abdomen - Brown and ablong but shade can range from lighter to darker. It is believed that this can change depending on how recently they have fed. Cephalothorax - Approximately 2/3 the size of the abdomin, it has a darker pattern at the head of the cephalothorax that extends towards the rear with a thin stripe leading towards the rear. The pattern has a shape of a violin, giving the Brown Recluse the knickname of the Violin Spider, Fiddleback Spider, and the Brown Fiddler. Legs - Long and thin and closer to the color of the abdomen with no stripes or hairs. Size - The body is approximately 1/4 to 3/4 of an inch, but can sometimes be a little larger. Bite Info - It is rare that a recluse will bite. It usually has to be forced to bite by pushing against it and making it defend itself. Of the cases it does bite, most bites have little effect and heal on their own in a couple of days. It is only the rare venomous bite that is cosidered dangerous. The venom of the Recluse is a cytotoxin, which destroys cells causing the body tissue to deteriorate. The bite is often painless and not noticed for several hours before the infected area becomes irritated. In some cases, the bite is nothing more than an irritation but there is some cases where it can be dangerous. Left unattended, the wound can develop a sore that will continue to grow. Even treated the infected area can create a sizable wound. In some cases the victim will develop symptoms that lead to systemic hemolysis, coagulopathy, renal failure, and, rarely, even death. Other Notes - Though dangerous, the Recluse is not an aggressive spider. Bites are pretty rare and almost always the fault of the victim. Most bites occur when the spider is in shoes, towels covers when people use them or when someone picks up a box in a basement and presses against the recluse. Recluse spiders are night hunters and will feed on dead insects as well as living. It should also be noted that there are thousands of people going to hospitals every year to have what they believe is a recluse bite, and too often doctors are misdiagnosing them. Consider this. In states where the Recluse is common, it is still uncommon for people to be bit by them. 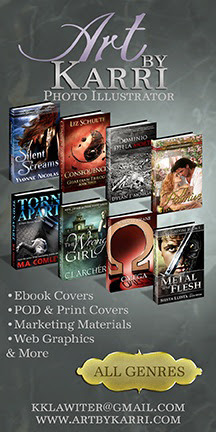 Of those who are bit, it is uncommon for the bite to develop the nasty wounds we so often hear about. So if it is so extremely rare for someone in Michigan to come across a Recluse, how much more rare would it be for someone in Michigan to be bit by the infamous spider? How much more rare would it be for someone in Michigan to not only find one and get bit by one, but for the bite to develop a terrible wound? The fact is, if you are here in Michigan and your doctor says you were bit by a Brown Recluse, go see another doctor and have him check you for infections like MRSA and Allergic reactions. Because the odds you were actually bit by a Recluse here in Michigan is almost impossible. If you are ever bit by a recluse, or ANY other spider, it is important to retrieve the spider (dead or alive) for true identification. I have recently had an expert from Spider Myths (Burke Museum) inform me that even medical doctors often misidentify the recluse spider and it is important that a real Arachnologist is the one to identify it.